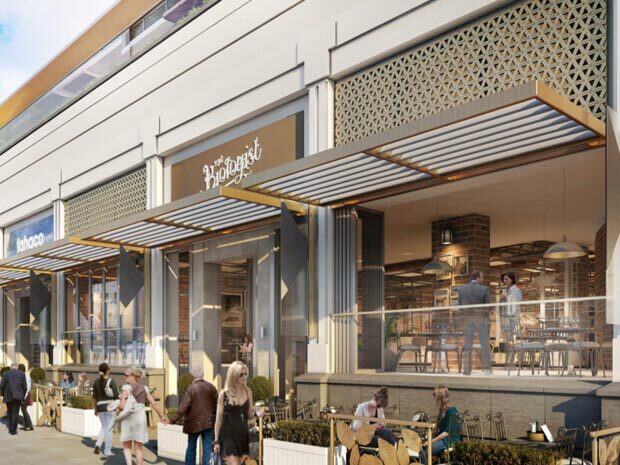 Permission has been granted to build a new boutique cinema inside the former BHS store in Cheltenham’s Regent Arcade, along with a rooftop bar and new restaurant area. Promising to bring a ‘new concept in luxury cinema and casual dining’ to Cheltenham, a boutique cinema firm, TIVOLI has been granted permission to open a cinema in the former BHS store, inside the Regent Arcade. Given permission to go ahead at a Cheltenham Borough Council meeting on Thursday 18 October 2018, it’s likely that the cinema will be open by the end of 2019. The new cinema plans to include luxurious extra-wide sofas instead of seats, with individual tables where hot and cold food and drink can be served before visitors settle down to watch a film. Alongside the cinema, TIVOLI plans to include a casual dining area with a licensed bar serving wine, cake and coffee throughout the day. There will also be a Directors Lounge and Screen, which will be an exclusive hire experience for special occasions. Scott Lahive is Regent Arcade’s centre manager: ‘We are excited to announce our plans for a new state of the art boutique cinema, along with new restaurants, roof top bar and additional leisure space. ‘The development will be a great addition to the shopping centre, help boost footfall for the surround area and support the evening economy. Our plans include redesigning our Ormond Place entrance at the same time and carrying our major improvement works to the public realm. For more information see Regent Arcade, or call (01242) 521345.